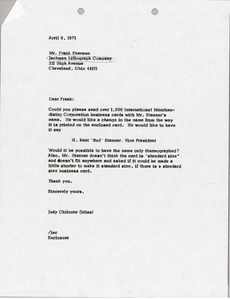 Requesting one thousand International Merchandising Corporation business cards with Mr. Stanner's name specifying an edited version of his name. 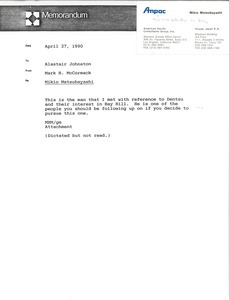 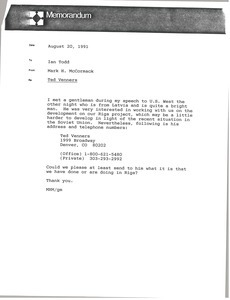 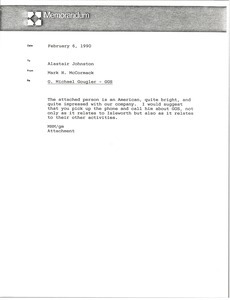 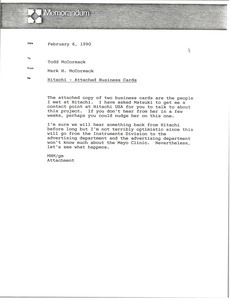 McCormack also requests that the cards be made standard size and that the name be thermographed. 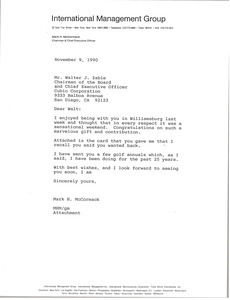 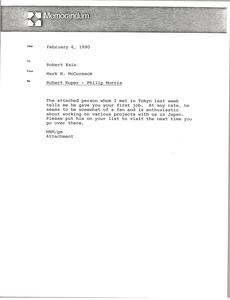 Concerning Mikio Matsubayashi, regarding Dentsu and their interest in Bay Hill. 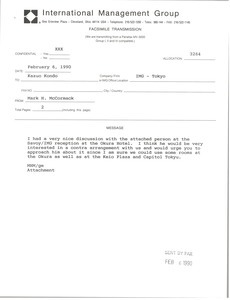 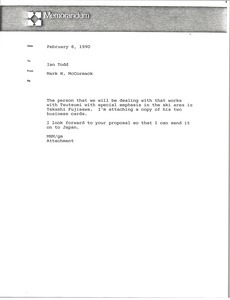 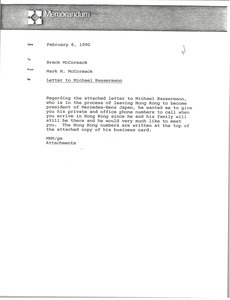 Concerning the attached photocopy of a business card fot Takehisa Iizuka of the Hotel Okura, McCormack suggests Kondo contact him about a potential contra agreement.